What Can We Learn From Samso, the 100% Renewable Island? 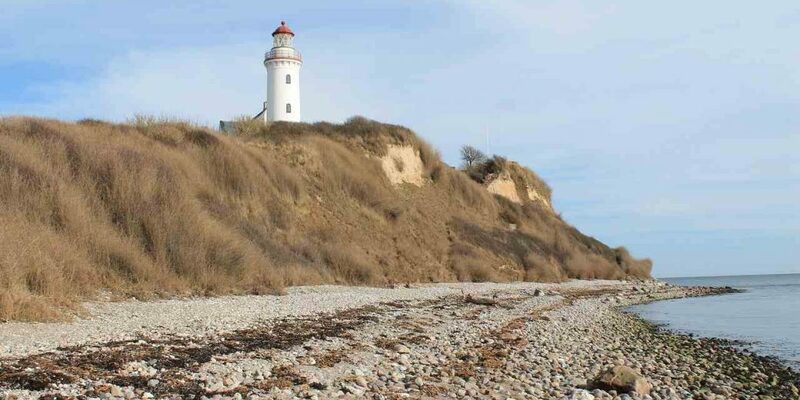 Samso is a small island located on the east side of the Danish peninsula. Home to 3,800 inhabitants, Samso became world famous in 2008 for becoming the first island run on 100% renewable energy. The project initially began in 1997, when Samso won a government competition to produce 100% of their electricity from renewable sources. Since Samso became 100% renewable, cities, countries and islands across the world have made pledges to also go 100% renewable, including Hawaii, San Diego, and Grand Rapids, Michigan. In fact, several small cities and islands are already 100% renewable, including Aspen, Colorado, and Tokelau, a small island in the South Pacific claimed by New Zealand. By far the largest project of this kind is the state of Hawaii, which has promised to go 100% renewable by 2045 through a mix of residential solar, utility-scale solar, wind, and geothermal. With 1.4 million inhabitants, this is a huge undertaking. However, historically Hawaii has produced electricity by burning oil brought over from the mainland and has been plagued by the highest electricity prices of any state in the United States. As more and more countries and cities pledge to go 100% renewable, Samso can provide an example of how to integrate renewable energy on a large-scale. Keep in mind that Samso, with only 3800 inhabitants, is a relatively small agricultural island, so a project like this is more feasible. Nevertheless, let’s see what we can learn and apply to other projects like this. Samso has adopted a diverse mix of energy. The windy island has 21 wind turbines that generate the majority of electricity for the island. 10 of these turbines are off-shore, with 11 on-shore. Heat for the buildings on the island is produced at centralized heat plants powered by burning locally grown straw. In addition, residents have installed solar panels on their own property and use heat transfer equipment to remove heat from fresh milk to heat buildings. Some have also built small geothermal heating systems. All of this leads to a fairly diverse portfolio of centralized and distributed energy types, using a variety of sources including biomass (straw), wind, solar, and geothermal. As renewable energy sources like wind or sun can frequently come and go in short bursts and having multiple, varied energy sources creates a more stabilized grid. In other cities and states with high concentrations of renewables, diversity is also key. Hawaii uses a mix of distributed residential and commercial solar, utility-scale solar, thermal, and wind. Burlington, Vermont, uses a mix of hydropower, wind, solar, biomass, and landfill methane. One of the reasons Samso was such a success is that early on, project coordinators pulled in local residents to create a sense of ownership. Initially, the local farmers and other inhabitants weren’t sure about the project, and questioned if it was wise to move forward with it. However, once the potential financial savings of going renewable (mostly due to 10 year long government subsidies for wind power) was raised, ears began to perk and more and more locals started to jump on the cause. Residents were able to voice their opinion where wind turbines were to be located and purchase shares in 2 of the 10 off-shore wind turbines, with five of the remaining turbines purchased by the local municipality, and three by individuals. The situation is quite different in Hawaii – where solar has really taken root. Oahu, Hawaii’s most populous island is already seeing 10% of their electricity coming from distributed generation and it’s estimated that 20% of homes in Hawaii currently have solar, with more wanting to install every day. In the state, local residents seem to be more at odds with utilities and regulators, who are taking a very cautious approach due to uncertainty around how much distributed solar the electricity grid can handle. They don’t want to overload the system. In 2015, Hawaiian Electric Company, the main utility on the islands received permission from regulators to end net metering due to this seemingly legitimate concern. This is something many utilities around the US are dealing with and even if this concern is valid, utilities due a poor job of communicating the importance of this cautiousness to residents and locals become indignant to the utility, viewing them as anti-solar. Project coordinators in Samso decided buy-in from residents was important from the get go, and their transition was very successful because of that. Other cities looking to go 100% renewable would do well to keep that value in mind. While it was building the infrastructure for its 100% renewable goal, Samso constructed the 10 off-shore wind turbines mentioned above to offset carbon emissions released by fossil-fuel powered transportation both to and on the island, which includes ferries, cars, and tractors. With these offshore wind turbines, the carbon emissions for each resident on Samso is a startling small negative 12 tons, compared to 10 tons for inhabitants on the mainland. After meeting their 100% renewable goal in 2008, they set another goal to be 100% free of fossil fuels by 2030, meaning that all cars, boats, tractors, lawn mowers, and anything else would be powered by renewable energy. Currently Samso is the only place in the world that has created an official goal to be 100% fossil-fuel free in both electricity generation and transportation. Other cities and countries have discussed or mentioned their desire to go this route, but as yet none have made an official goal. For a larger city to go 100% fossil fuel free, it would be quite difficult. Switching to 100% renewable energy is frought with complications but really just concerns a key few players like the utility, third party electricity generators, and solar homeowners and businesses. To get rid of fossil fuels completely, millions of individual residents driving and owning their own cars, would need to be pulled in – a huge undertaking. However, in 13 years Samso could set a precedent that other cities could look to. If one small island of 3,800 people could do it, why not one large city of 1.3 million like San Diego? Samso is at a crossroads now. In 2016 it’s been more than 10 years since the wind turbines were constructed and at least one of them is not producing energy while waiting for repairs. In addition, the 10 year government subsidies that guaranteed a certain price for wind-produced power have ended and the price for wind-powered electricity has dropped significantly, leading some locals to question whether it’s worthwhile to even repair their turbines. Where is Solar Energy used?